Kylie asked for deformed rabbit, see what you have done? My own shadow puppets are little bit more melancholic. And now you know what bunnies do on their day off! 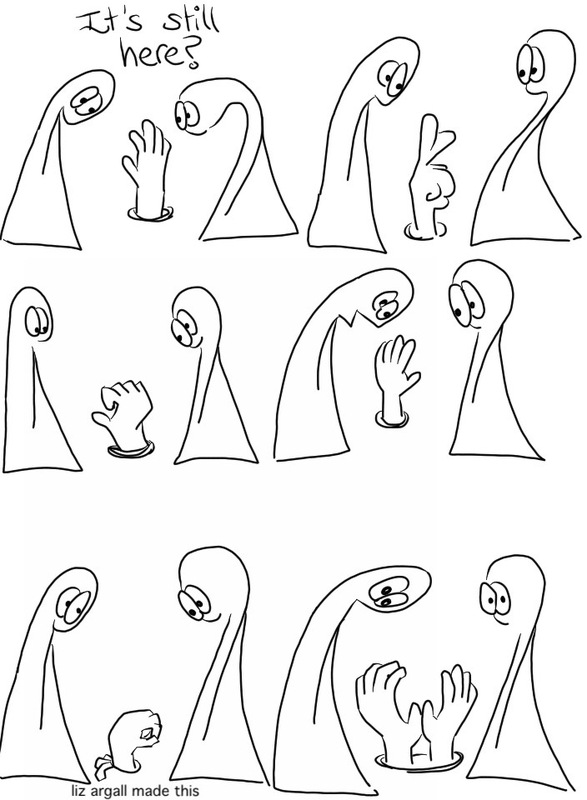 Hands first appeared way back in comic 107, a brief weird two comic encounter before re-emerging in comic 125. Last we saw them they were sheltering under a cardboard box! Thing 1: The hand is back! Thing 1: The hole is getting bigger. 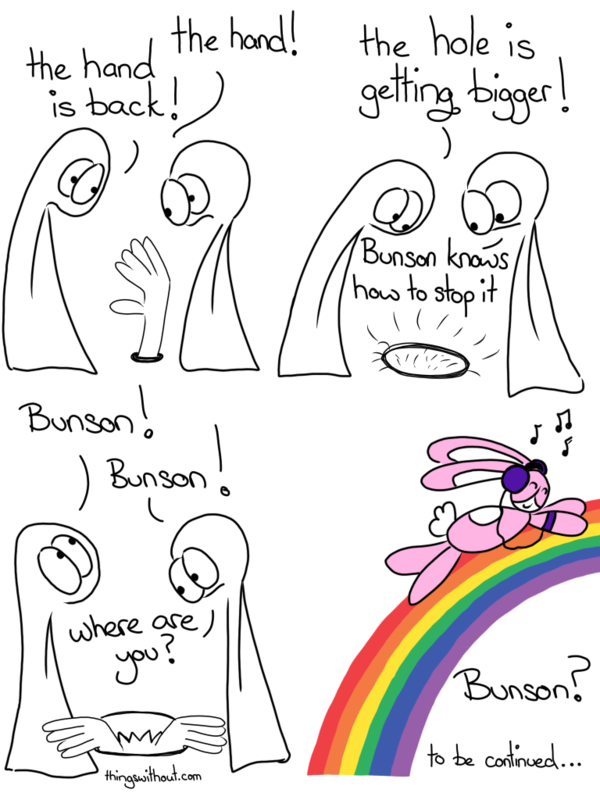 Thing 2: Bunson knows how to stop it. Thing 2: Where are you? Cut to Bunson listening to loud music on his headphones while dancing along a rainbow. 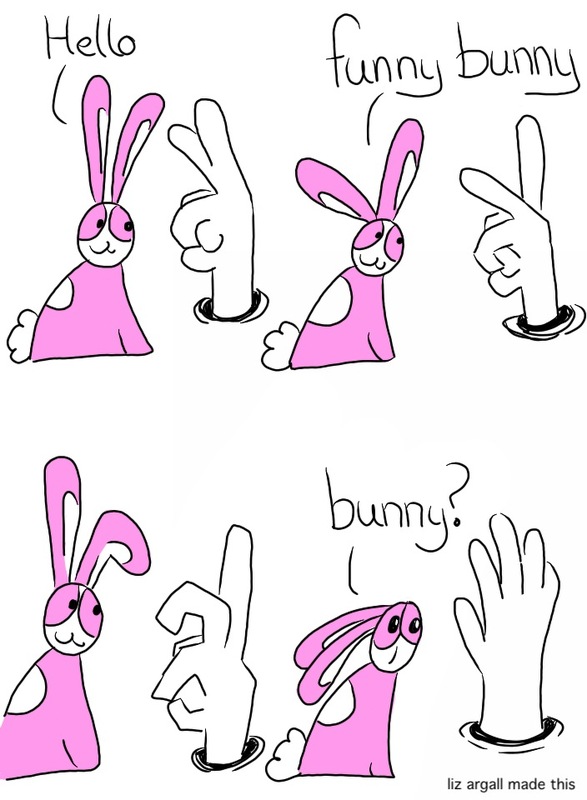 └ Tags: dimensions, hands, it's coming through!, webcomic, what is it?